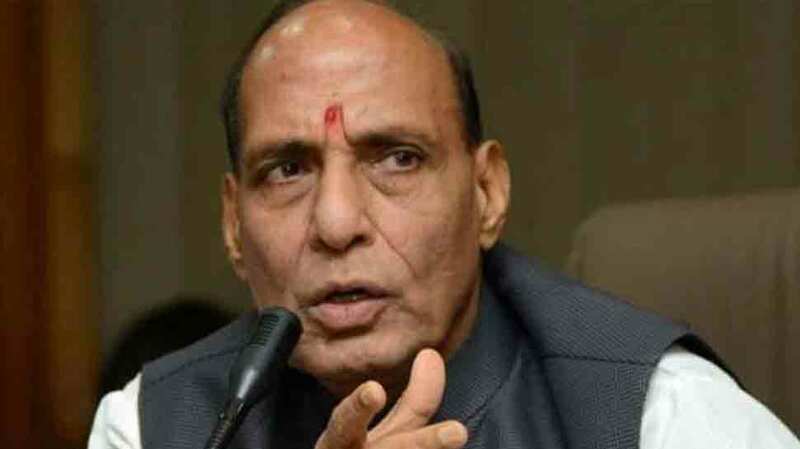 New Delhi: Union Home Minister Home Minister Rajnath Singh on Tuesday said that he will not celebrate the festival of Holi this year in the light of the terrorist attack on CRPF troopers in Pulwama. At least 40 CRPF personnel were killed and many were injured on February 14 in one of the deadliest terror attacks in Jammu and Kashmir when a suicide bomber rammed a vehicle carrying over 100 kg of explosives into their bus in Pulwama district. Pakistan-based Jaish-e-Mohammad took the responsibility of the attack, just hours after the incident. The suicide bomber was identified as 20-year-old Adil Ahmad Dar, also known as Adil Ahmad Gaadi Takranewala, was a resident of Gundibagh village of Pulwama district of south Kashmir and a JeM member. Earlier, on March 1st, Rajnath had said that India was getting the cooperation of Islamic countries in its fight against terrorism. “All countries are coming on one platform to fight terror. There should be a decisive war against terror,” he was quoted as saying by IANS while inaugurating the office and a residential complex of the National Investigation Agency (NIA) here. He noted that the Organisation of Islamic Conference (OIC) had for the first time invited India`s Foreign Minister Sushma Swaraj as a guest of honour for its meeting. The Home Minister said terrorism had nothing to do with caste, creed or religion. “Some people link terrorism with religion which is not proper.” He said Prime Minister Narendra Modi had taken a tough stand to eliminate terrorism from Indian soil.